A fast pace adventure story set in ancient Egypt. Young teenagers Carter and Sadie are devastated when their father goes missing in Egypt. Soon they find themselves pursued by angry ancient Egyptian gods. 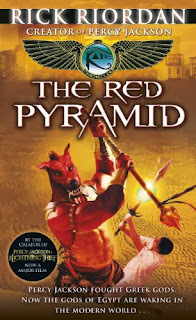 On the plus side, Carter and Sadie enjoy discovering that they are of royal Egyptian blood and have magical skills every bit as awesome as the evil gods. This is the first instalment of the Kane Chronicles. It combines nonstop action with humour and suspense.